The power of pink compels you! Yes, it's that time of year again when l'amour is in the air and the shops are full of pink everything and hearts and flowers abound. 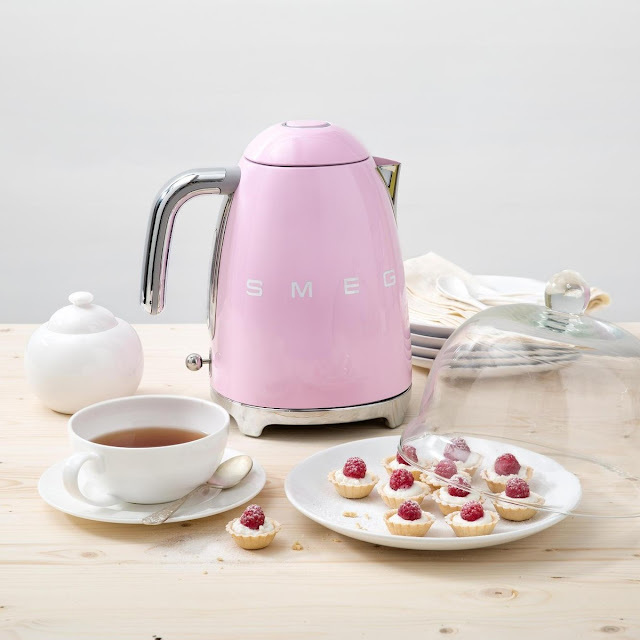 So I thought I'd share with you some of my favourite homeware products out there right now that are literally all about love and pink-iness. 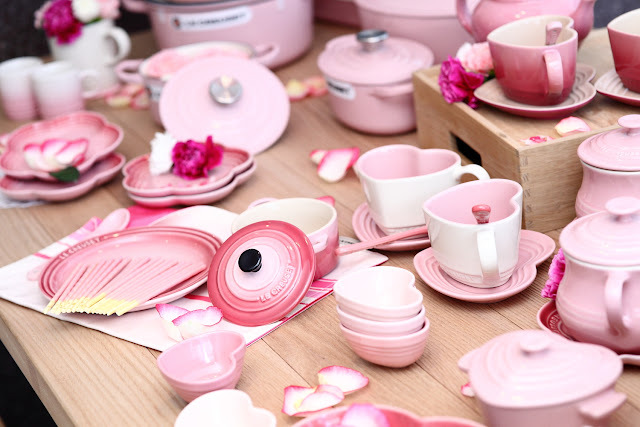 Le Creuset always have their pink game on point. I love their range of pink stoneware and cookware from the chicest of pink casserole pots to the cutest ramekin dishes - the perfect valentine vessels for you to make a special dinner dish or baked goodies for your nearest and dearest. 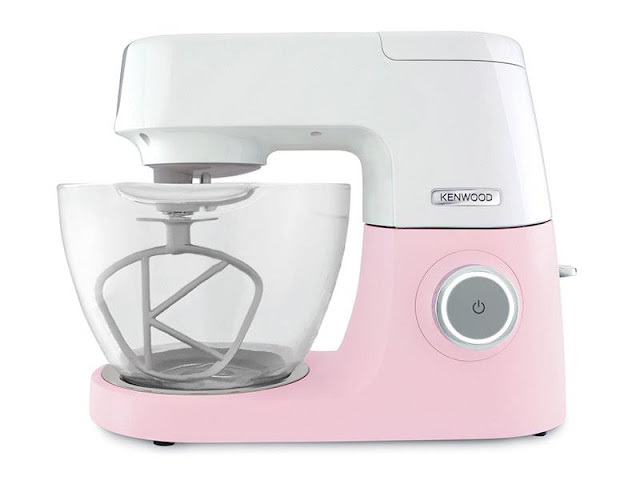 Of course if you are going to make a cake or bake some cookies, then this Kenwood Chef Sense in pink from Arnotts and this Love cookie cutter from Moss Cottage are bound to help you channel your inner Mary Berry. Aldi are rocking it recently with their homeware special buys - I mean how cute is this little heart DAB radio! And if you want to win favour with that special someone this weekend, why not make them breakfast in bed and serve up scrummy waffles with bacon and maple syrup using this heart shaped waffle maker. Tea for two never looked so pretty thanks to SMEG and their cute pink kettle currently on sale at Arnotts (which also has a matching toaster) and this retro Bando 'Love Potion' mug from My Shining Armour. 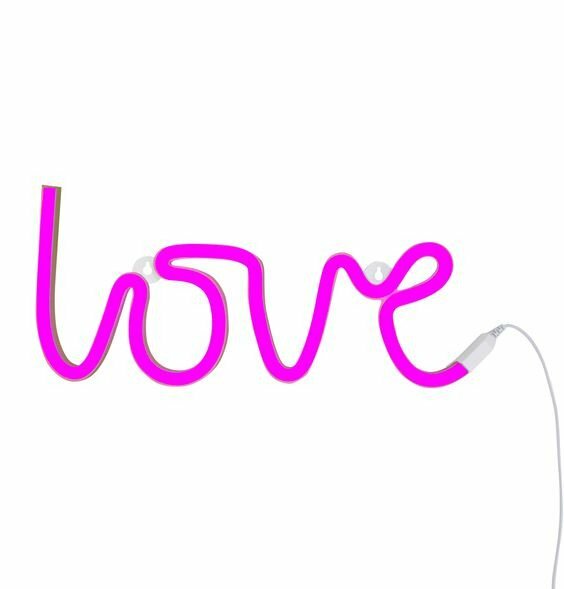 Both My Shining Armour and Moss Cottage carry these fabulous 'Love' and Heart shaped neon lights which I am both lusting after and currently in love with. How divine is this classic Eames DSW style chair in pink from CA Design in Dublin? Their Eames style chairs are of the most excellent quality in comparison to other cheaper versions with solid walnut legs and fibreglass bodies. If you plan on staying in and watching a romantic movie then how amazing would it be to snuggle up under a chunky knit blanket like this mink blush one by Lauren Aston Designs. Check out her Etsy shop for her beautiful handmade chunky knit blankets and blanket kits so you can make your very own. These blankets are so hot in interiors right now and are starting to pop up in the most amazing interiors on Pinterest. Want. Love. Praying for! 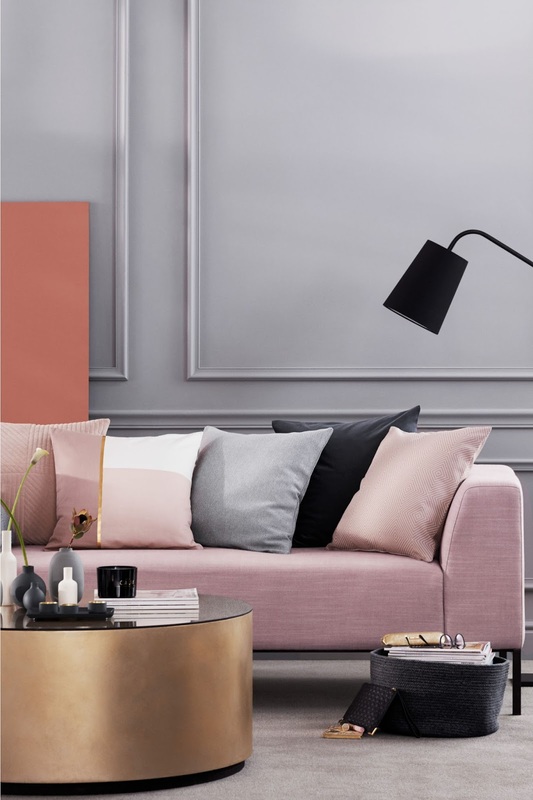 H&M Home is really packing a pretty good pink punch right now if you want to add some rosé accents to your home. How fab are these cushion covers. And to capture that special moment forever, this pink photo frame is too cute to pass up. 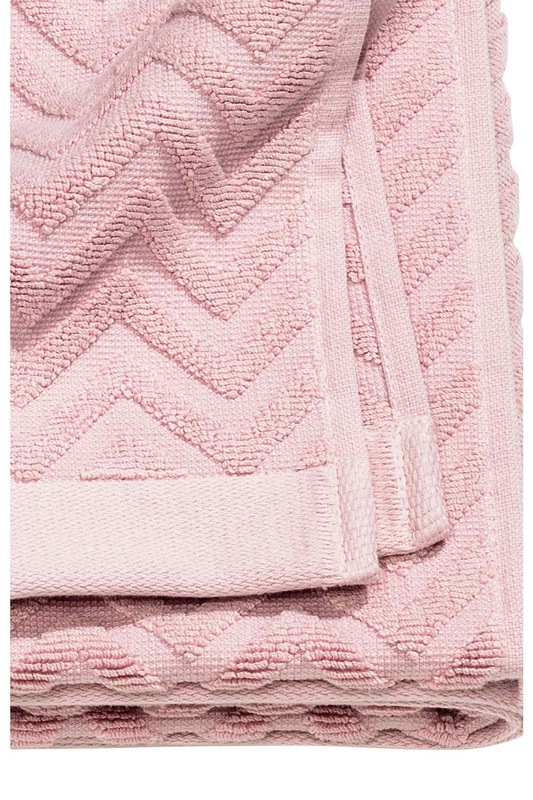 Amplify the pink in your bathroom with H&M's range of pink towels, bath mats and shower curtains. 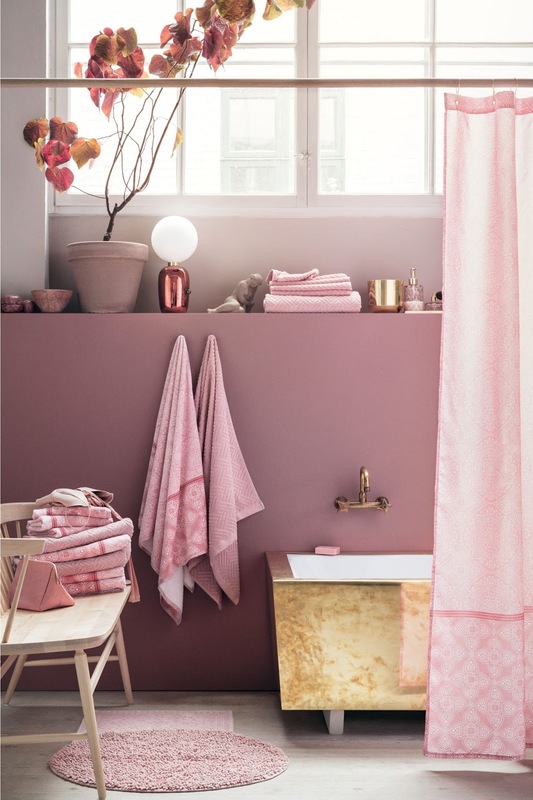 We have a retro pink bathroom in our house, so I am totally spoilt for choice here and ready to embrace ultimate bathroom pinkness! 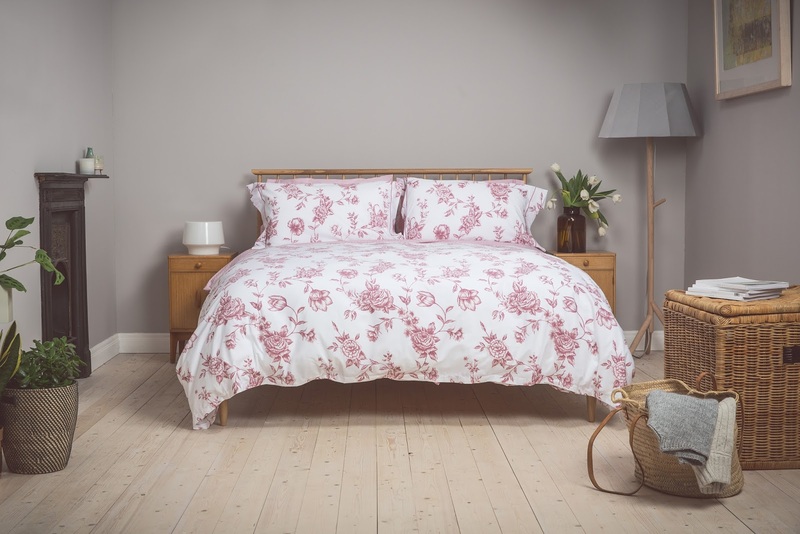 And so to bed...for the prettiest pink bedding look to one of my favourite brands - Foxford Woollen Mills. Their bedding is simply superb. 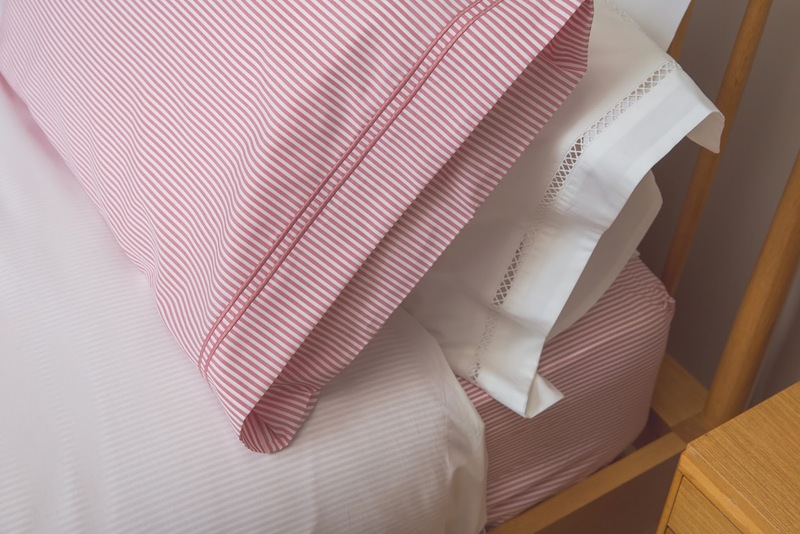 Even my husband commented on the quality and crispness when I first used our Foxford linen. 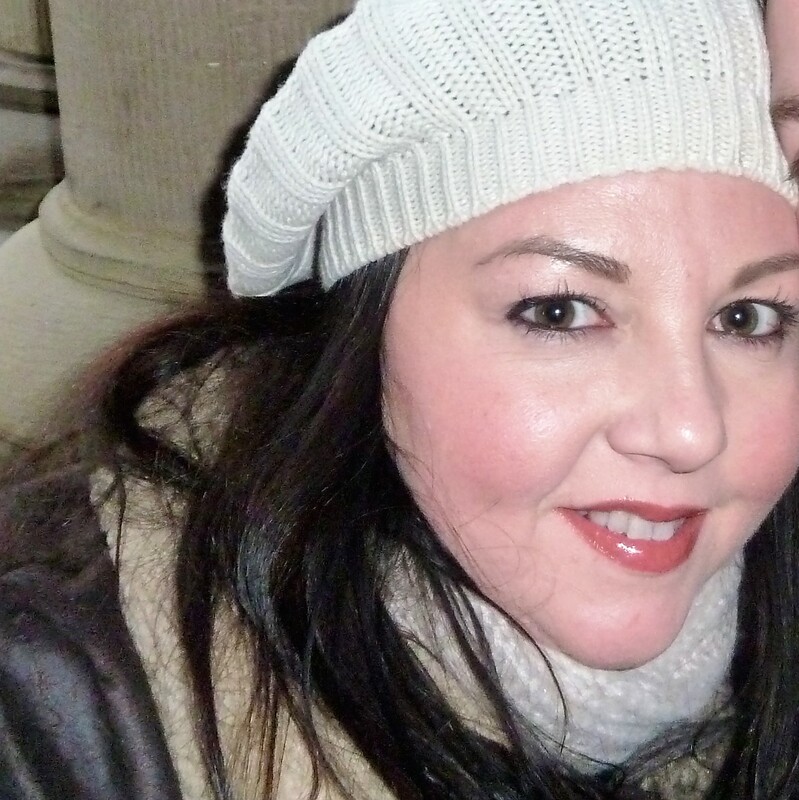 I hope you enjoyed my pink-spiration edit - have a great weekend!